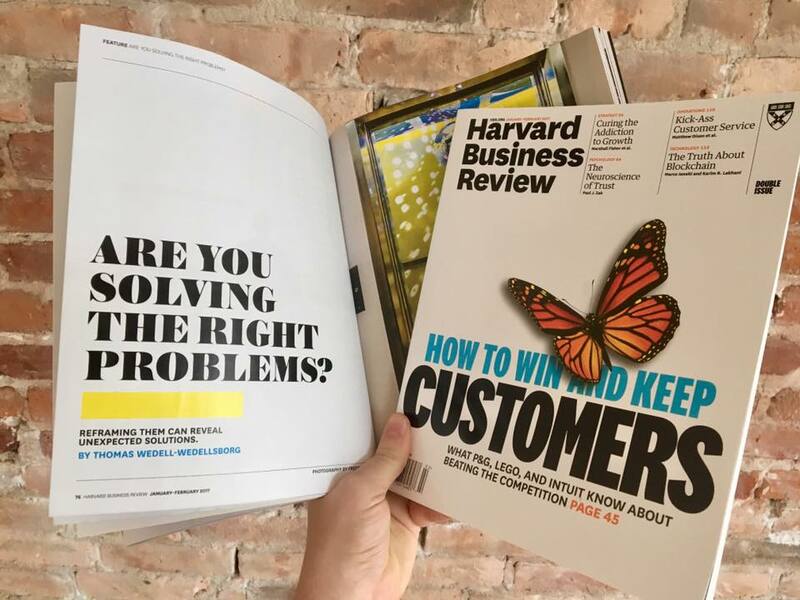 Read Wedell-Wedellsborg’s newest feature in Harvard Business Review: Are You Solving the Right Problems? See also the podcast and the HBR Live video with more detail about how to reframe your problems. Wedell-Wedellsborg opened the Global Drucker Forum together with Roger L. Martin, Hal Gregersen and Sarah Green Carmichael. More information here: Global Drucker Forum 2017. Wedell-Wedellsborg spoke at Foreign Affairs Live along with former U.S. Joint Chief of Staff General Martin Dempsey, Coca-Cola Chief Sustainability Officer Bea Perez, and others. How do you successfully build startups as a big company? Get the new in-depth case study on Prehype’s ‘startup as a service’ model. Wedell-Wedellsborg spoke at HCI’s Global Talent Management conference in Los Angeles along with Marcus Buckingham, Suzanne Martin and others. Wedell-Wedellsborg spoke at the Global Drucker Forum along with Henry Mintzberg, Tom Davenport, Sherry Turkle, Robin Chase, Adi Ignatius and others. HR Magazine included Wedell-Wedellsborg on their list of “Top 20 International Thinkers” along with John Kotter, Rita McGrath, Rosabeth Moss Kanter and others. Full list here. Wedell-Wedellsborg did the opening keynote at Corporate Learning Week at DisneyWorld Florida. “Innovation as Usual” is now available in English, Chinese, Danish, Portuguese (Brazil), Polish and Japanese.